This is the first page of the online version of The Plan as You Go Business Plan, published in 2008 by Entrepreneur Press. It's included in this site in its entirety, with permission of the publisher. This is the same book included with Business Plan Pro, which you can also buy in bookstores, on amazon.com, or direct from Palo Alto Software. You can also read it here on this site, if you want, by scrolling down and using the specific book categories showing here on the left. This is the complete book, with all illustrations, posted her for your convenience. And you don't have to read on a computer ... it might be easier on your tablet. You should be surprised that I'm writing this foreword for a book about business planning. After all I’ve blogged about how I started a venture of mine called Truemors.com without a business plan. I also wrote a blog posting called "is a Business Plan Necessary?" I've spent a lot more time and effort talking and writing about one’s pitch than one’s plan. However, it's exactly because of that history that I wanted to write about this book. Plan-As-You-Go Business Plan is about planning, not the plan. Tim Berry says that instead of a ponderous document, do the planning that every business needs to focus, prioritize, and manage. Do that, and, if that’s all you’re going to use, nothing else. Don't sit back waiting for a big plan to be done: get going, start planning, start thinking, and do whatever part that is going to help you run your business better. In this book, Tim explains how to build your plan around a core (he calls it the “heart”) strategic combination of market, identity, and focus. I like the idea that the real plan is not the output format, but what's supposed to happen, and why, and when, and how much money. It's ideas like this that make me say that everybody running a business should develop a plan, but only in the simple, pragmatic context that this book evangelizes. And that’s why you should buy this book. Planning is good. You may not need a full formal business plan, but you can certainly use planning to manage. So I've written this book to help you get going quickly, and easily, with only as much planning as you want and need to succeed. That might require a full plan, and it might not. In an old Peanuts comic strip, Linus and Lucy are walking on a sidewalk when they see in front of them something that Lucy -- who knows everything -- identifies as a rare Brazilian butterfly. She starts talking about the wonder of the butterfly having traveled all the way from Brazil, when Charlie Brown looks closer and interrupts: "It's a potato chip." "Then isn't it even more amazing," Lucy continues, without missing a beat, "that this potato chip got here all the way from Brazil?" This story reminds me of what's happening to business planning. People who mean to say what I'm saying with this book, that not every business needs a complete formal business plan, end up missing out on planning. And that's a shame. So I say let's keep it simple and practical. Do as much planning as you'll be able to use. Realize that all plans will change, so think of your plan as ongoing and use it to guide your business. Expect it to change, but use the planning to keep your eyes on the long-term goals even as the details change. It's like planning a trip, for example:having the plan doesn't lock you in, it helps you keep track and revise as needed. Or like dribbling: you keep your eyes on the whole field (or court) while you deal with the ball, watching the play develop without losing track of the goal. Plan as you go. This is a new approach to business planning. It's new and different because it takes what's most important about the traditional business plan idea and applies it better to today's world. And it's a lot better than the traditional business plan, quicker, easier, more flexible, more practical, and more useful. It's been a long time coming. I've been working with business plans for about 30 years now. Startup plans for new companies that didn't yet exist, growth plans, strategic plans, action plans, feasibility plans, lots of plans. One of my startup plans became Borland International, which went public less than four years after it started, and made me a lot of money. I did annual plans for Apple Latin America, then Apple Pacific, and then Apple Japan for a combined total of 12 years. I've used business planning to grow my own company to 40 employees and 70 percent market share without outside investment. Through all of these years, I've seen how business planning can be the secret of success for new companies and growing companies. I've seen how the best companies understand planning and regularly develop plans and manage them. Good companies plan. I've also seen how myths and misunderstandings get in the way. People think -- wrongly -- that having a plan means getting locked into doing something that doesn't make sense, mindlessly, because it's in the plan. People think --wrongly -- that rapid changes make planning less useful, when in fact good planning is one of the best ways to manage change. People think -- and this is one of the most damaging misconceptions -- that a business plan is hard to do and set in stone with a long list of necessary parts, a ponderous and pompous formal exercise. 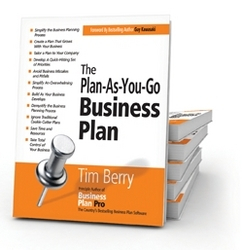 The plan-as-you-go business plan is what you need and only what you need. It can be as simple as a 60-second strategy summary that can be delivered in an elevator. For smaller companies it might be that plus a review schedule, milestones table, measurement notes, and a sales forecast. And as companies grow, their plans can grow. Then, when you need the big plan document, you add the additional parts you need and create the document. But you are always planning, and you are never without a plan. This is not the first business plan book I've done. Unfortunately, I now hate the title of my last business plan book, the most successful, because it sets up exactly the wrong idea: the business plan as hurdle. 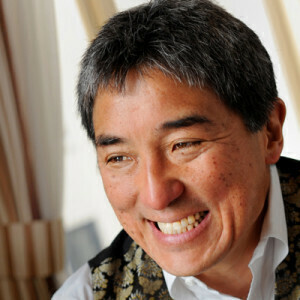 The book was titled Hurdle: the Book on Business Planning. What's wrong with this is that business planning isn't supposed to be like a hurdle that stands in the way; instead, it's a powerful tool for managing your company better, controlling your business destiny, establishing accountability, and developing teamwork. You should never think of it as a hurdle. It's not an obstacle you overcome; it's a technique that helps you manage your company better. So don't stop working. Don't ever let the business plan stand between you and doing business. Get started, get going, and make the plan useful to you from the very first day. You'll find that strategy in this book. I want you to get started. I expect that you'll be able to do something today that will already be helping your business tomorrow. I understand. Enough of the explanations and positioning, let's get working on a plan. So go ahead, just jump in and do it. Most people like to start with the heart of the plan. Jump there now, you'll see what I mean. It's about what really drives your business. Your target market, your business offering, your strategic focus. And don't worry about format; write it, speak it, use bullet points, slides, or whatever. My personal favorite is the plan review schedule. This makes it very clear that you're after planning, and better management, not just a plan. Another very good starting point is the sales forecast. Some people like to get to the numbers first, and many people do the conceptual thinking while they work the numbers. Your target market, your business offering, your strategic focus are all in your head as you make your sales forecast. That's not a bad way to proceed. Maybe you want to start with an expense budget instead. Estimate your payroll on an average month. Calculate your burn rate, a very important number, meaning how much money you have to spend per month. If you're planning to start a business, startup costs is a good place to get going. Make lists of what you need, in money, goods, locations, and so forth. Particularly when you have a team, SWOT (strengths, weaknessess, opportunities, and threats) analysis is a great way to start. You can jump to the SWOT analysis now and do that. Some people like to set the scene better, with the mission statement, vision, mantra, objectives, or keys to success. That gives your plan a framework to live in. If you like. However, there are some things in business planning, even plan-as-you-go planning, that have to happen in a certain order. For example, you can't really just start with the cash flow statement without having done your sales forecast, burn rate, and some asset and liabilities assumptions. Still, you can get started fast. I don't blame you. Maybe you'll jump back here (use your Back button) to continue the explanations after you've made some progress. Some things change more often than a book is printed, so I keep the content alive and refreshed on the web. You've got the book as a guide, but let's optimize. This is the 21st century. I’m not pretending this book lives alone. As I wrote this I was working three blogs myself and contributing to three others as a guest expert. I only recently stopped running a company that lives and breathes web traffic, download sales, conversion rates, page views, visitors, and Google analytics. I was working with Microsoft Office on four computers and on three different office substitutes in the web world, where my documents live online, and I visit them from whichever computer I’m on. Of course you get that, you're here with me now on the website, so you can see what that means to you. It’s a new world now; everything changes so quickly. Happily, most of what I have to say will last but there also will be updates, new ideas, tools, and of course new stuff on my blogs and associated websites. That's why you're here. This is your portal to what else is happening in plan-as-you-go business planning. I don’t expect this book to sit static on the shelf -- I expect you to use it. And I don’t expect it to sit static as it is -- I expect to update it constantly on the web, on my blogs, and as it flows through the world into other books, magazines, software, and so on. Please do check in here occasionally because I will be updating some chapters from time to time. After all, if we’re doing plan-as-you-go planning isn’t it also logical that we do write-as-you-go authorship? Things change, not just in your business, but also in the business of business planning. Links, resources, and references that come up in the book can also change; once again, we’re living in the real world here, so we have to deal with change. I’ll keep you updated through this site. The plan-as-you-go business plan isn't big on supporting information that slows down your process, but it is required in some cases, so I've set up the links to update information sources, such as market research pages, industry information, and standard financials, as they become out of date. You don’t need software to do plan-as-you-go business planning. This book is about the planning, how to do it, why, when, and how to work with the ideas, the people, the problems, the information, the decisions, and, of course, also the numbers. It isn’t about any particular software. Planning doesn’t require any special computer programs. Plan-as-you-go planning is about results and management, not tools, so you can do it on the back of your hand as far as I’m concerned. By the way, I am also the principle author of the software Business Plan Pro and conceptual co-author of LivePlan, both published by Palo Alto Software. I’m not going to talk much about that in this book, but I can at least assure you that whatever I’m suggesting you do can be done within that software. I don't expect you to read this book from the first page to the last page. I'm not writing it that way and I don't think you'd want to read it that way. This book is about your business, and when you think about your business, your thoughts jump. You go from sales forecast to some new slant on your strategy. One thing reminds you of another. Please read the chapters in whatever order makes sense to you. I have put links and page references all over the book. Let a thought in one place take you to a different thought in a different place. That's what's supposed to happen. To help you decide where to go when, I've tried to make the chapter titles and headings maps to the main points in the book. In his excellent book Meatball Sundae (Portfolio, 2007), Seth Godin points out the growing trend of shorter content, quick jumps of attention, as part of the world we now live in. Instant gratification. Keep it short, like blog posts. You don't want to sit through a long lecture. Business planning is a lot like that too. You can expect a lot of short subjects. Stories. Sidebars. I want to help you think about your business, what's important, how to do it better. Planning isn't sequential. Thinking comes in short bursts. Planning, Startups, Stories. My first blog, sort of a flagship blog. That one gets a lot of my developing work on business planning, plus stories of real companies, including my own, mistakes, occasionally interesting videos, current events, and planning fundamentals. My consolidated blog posts site at blog.timberry.com. My blog site that automatically consolidates my blog posts on my main blog, the bplans blog. Huffington Post, gust.com, SBA Industry Word, Entrepreneur.com, and other blogs. The plan-as-you-go business plan is a new approach, a new way of thinking about business planning. It doesn't really change fundamentals, but it does change the focus. It adds some new angles, and it's better for you, and better for your business. What's the difference? Why do I make the distinction? Garr Reynolds, in his highly-acclaimed book Presentation Zen, says his approach to presentations "is not a method." "Method implies a step-by-step systematic process, something very much planned and linear, with a definite proven procedure that you can pick off a shelf and follow A to Z in a logical orderly fashion. "An approach implies a road, a direction, a frame of mind, perhaps even a philosophy, but not a formula of proven rules to be followed." I like this distinction. It definitely makes plan-as-you-go planning an approach, and not a method. I've spent a lot of years working on step-by-step methods to do business planning. Some of them work. Sometimes. But the whole idea of step-by-step, attractive as it is, reinforces the myth of the business plan as a document or hurdle. What's the difference? Why does it matter? It's not that important, but I do want to use the idea of an approach instead of method to emphasize that I don't want this plan-as-you-go concept to become another list of specific steps, or another list of "do it my way" methods. I want this approach, like this book, like your plan, to be yours, not mine. You take what I'm offering here and use what you want from it, in whatever order you want to use it, and make it work for you. The military relates very well to planning. In business we talk about battle plans, and war plans, as well as business plans. One of the most recommended books for business is Sun Tzu’s The Art of War. I use Eisenhower’s quote “the plan is useless, but planning is essential” frequently in writing, speaking, and teaching about planning. He makes a critical point. There’s also the famous line: “no battle plan ever survives the first encounter with the enemy,” often attributed to Colin Powell, but also to Field Marshal Helmuth Carl Bernard von Moltke.